If you’ve never heard of Lauren Ashley Carter–“the Audrey Hepburn of indie horror” per the Austin Chronicle–you should know that she has a definitive look and onscreen presence, and she doesn’t pick bland projects. In Darling, her second collaboration with director Mickey Keating, she plays an isolated young woman slowly going mad in a Manhattan mansion with a macabre past. 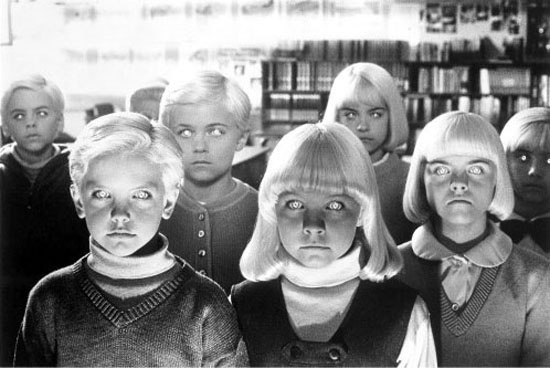 While the film is more of a psychological horror story with hints of supernatural influences, the poster above–created by Jay Shaw–gives Carter a look more reminiscent of the glowing-eyed children from Village of the Damned. Darling is available now on VOD. The poster is available at Mondotees.com.